Modern Makers located at 12th & Hickory within the Le Flou Flea vintage shop in the West Bottoms of Kansas City. 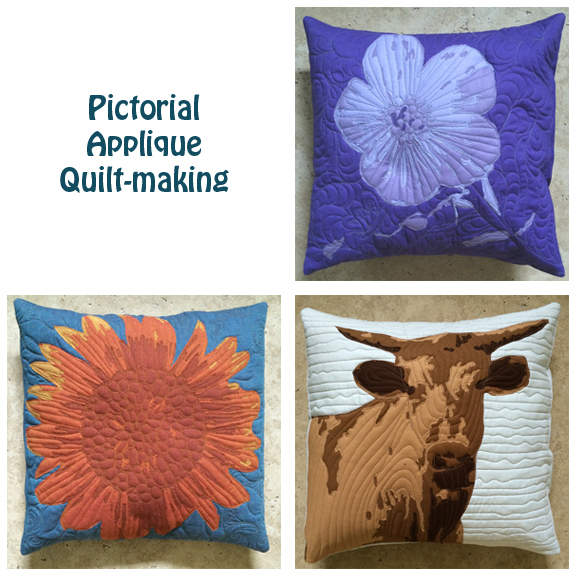 You will learn how to turn a printed image (furnished by instructor) into a quilt top & practice a bit of free motion quilting. Finished project is a pillow cover. Visit the Modern Makers website to enroll.